It used to be that creating more eco-friendly facilities was a smart way to save money on energy costs or a great way to show corporate responsibility. But now, being “green” has moved from initiative to protocol. The global business community views becoming eco-friendly as gaining a competitive edge and rightly so. For example, Google merges their ecology strategy with their human health programs to create work environments that are both safe for human inhabitants and the natural world. Because of the strict policies needed to produce these types of environments, Google’s vendors must adopt similar policies to maintain their business relationship. “At Google’s offices worldwide, we put all building products through a rigorous screening process to determine which adhere to our healthy building standards—and we purchase the products that best meet our stringent criteria. … We request full transparency from our vendors, requiring them to provide us with comprehensive product ingredient information from every point in the supply chain.“ To read more of Google’s commitment to the environment, click here. Google is not alone in maintaining strict eco-policies and holding their vendors to the same corporate principals. An increasing number of companies are integrating voluntary certifications like Leadership in Energy and Environmental Design (LEED)and Energy Star as part of their environmental strategy. These companies recognize the advantage these labels give them in the marketplace. Many times the responsibility of developing green initiatives and/or environmental certification compliance falls on those who manage an organization’s physical property. These demands, on top of regular building management responsibilities, are causing facility managers to feel tremendous pressure. And facility managers certainly need to know that fire protection must be an important part of their eco-friendly strategies. Historically, those responsible for protecting critical assets have turned to Clean Agent Fire Extinguishing Systems. 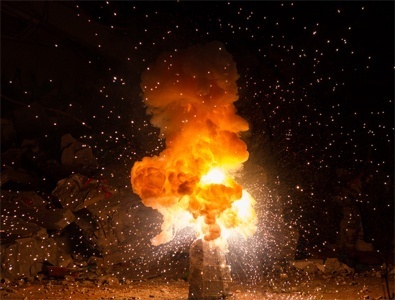 Clean Agents are colorless, odorless, non-conductive gases which leave no residue, thereby eliminating costly after-fire clean-up and keeping expensive downtime to a minimum. But today, facility managers must address the fact that many HFC-based chemical Clean Agents are high global warming potential gases. It has been estimated that buildings contribute 40-50% of greenhouse gas emissions globally; therefore, more and more organizations are seeking to reduce the use of products with a high global warming potential. 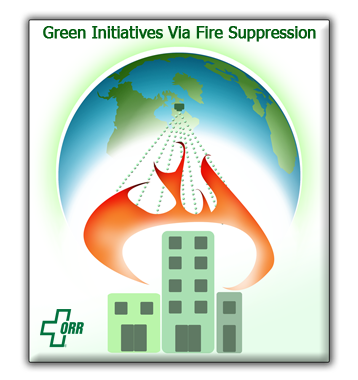 The good news is that technological advances in Clean Agent fire suppression have addressed the greenhouse gas concern. The 3M™ Novec 1230™ Fire Suppression Fluid contains a breakthrough compound that provides a significant environmental advantage over other HFC-based chemical Clean Agents. Novec 1230 has zero ozone depletion potential, a global warming potential of 1.0 and an atmospheric lifetime of just five days. Additionally, Novec 1230 offers one of the greatest margins of safety of any Clean Agent. Different than most fire suppression agents, Novec 1230 is a liquid at room temperature. This clear liquid agent might look exactly like water, but won’t cause the type of damage usually associated with water when extinguishing a fire. Novec 1230 fluid is stored in pressurized cylinders like other Clean Agent fire suppression systems, and because of its low vapor pressure will instantly vaporize upon discharge. Novec 1230 systems require about the same number of agent storage containers as other halocarbon Clean Agents. This highly effective fire suppression system works by totally flooding the protected space with gaseous agent and extinguishes the fire by absorbing heat even better than water. If your organization is seeking to improve business through eco-policy development, then you should consider fire protection as part of the strategy. Novec 1230 may be the best eco-friendly option for protecting your organization’s most critical assets and continuity of operation. Novec 1230 is just one way the fire protection industry is prepared to address the environmental sustainability challenges of today and tomorrow. To learn more about the 3M™ Novec 1230™ Fire Suppression Fluid and how it can help protect what matters most to you, contact one of our fire protection experts today. Click here to ASK THE EXPERT!